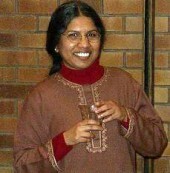 Professor Priti Ramamurthy has been a member of the Women Studies faculty at the University of Washington since 1997. She is the Director and Chair of the South Asia Center, Jackson School of International Studies, and an Executive Board Member of the Simpson Center for the Humanities. Her interests include feminist critiques of international economic development, agrarian transitions, consumption and commodity cultures, and transnational feminisms. This event is co-sponsored by the Women & Gender Studies Institute and the Centre for Diaspora and Transitional Studies .